NOOR is the Arabic (and Farsi) word meaning Light. NOOR seeks to build bridges between cultures, and is an exploration of Spiritual Technology. 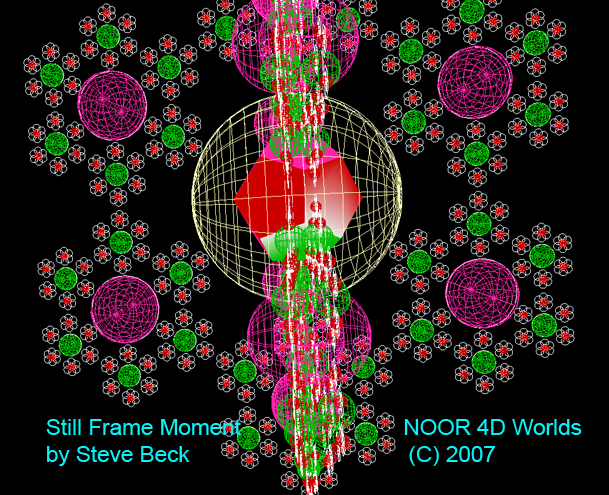 The NOOR project initially concerns time variant analytical geometries based on patterns and design motifs found in Middle Eastern Art and Architecture, among other world cultures across the space and time of history. LED Calligraphy on Xenel Building, Jeddah. Time variant stereographic 3D animations. ® – NOOR is a Registered Trademark of Beck-Tech Corp. All Rights Reserved.